Properties in Amalfi Coast Resort average 4.6 out of 5 stars. Lovely Destin Condo with Private Balcony~ Across Street from Beach ~Two Community Pools! Property 1: Lovely Destin Condo with Private Balcony~ Across Street from Beach ~Two Community Pools! Amalfi Coast 120B - Miramar Beach! Two Pools! Private Cabana! Gym! Tennis Court! Property 2: Amalfi Coast 120B - Miramar Beach! Two Pools! Private Cabana! Gym! Tennis Court! Amalfi Coast 404A - Gulf Views! Community Pool! Fitness Facility! Tennis Courts! Property 4: Amalfi Coast 404A - Gulf Views! Community Pool! Fitness Facility! Tennis Courts! Amalfi A305 - Booking spring vacays, now! Property 6: Amalfi A305 - Booking spring vacays, now! Amalfi Coast 104A - Resort Style Living, Community Pool, Fitness, Tennis Courts! Property 7: Amalfi Coast 104A - Resort Style Living, Community Pool, Fitness, Tennis Courts! Amalfi Coast 327D - Gulf View! 2 Pools! Tennis Courts! Fitness Center! Book Now! Property 8: Amalfi Coast 327D - Gulf View! 2 Pools! Tennis Courts! Fitness Center! Book Now! Amalfi Coast 225D - Gulf View! Beautiful Condo! Large Pool! Great Amenities! Property 10: Amalfi Coast 225D - Gulf View! Beautiful Condo! Large Pool! Great Amenities! OCEAN VIEW AND 5 STAR REVIEWS! BOOK NOW FOR SPRING/ SUMMER! Property 12: OCEAN VIEW AND 5 STAR REVIEWS! BOOK NOW FOR SPRING/ SUMMER! Amalfi Coast 203A - Miramar Beach! 2 Pools! Tennis Courts! Fitness Center! Property 13: Amalfi Coast 203A - Miramar Beach! 2 Pools! Tennis Courts! Fitness Center! April 21-26 & May 4-11 open! Destin and the beaches are beautiful. Property 19: April 21-26 & May 4-11 open! Destin and the beaches are beautiful. Amalfi Coast 201A - Miramar Beach! Gulf Views! Two Pools! Gym! Tennis Courts! Property 21: Amalfi Coast 201A - Miramar Beach! Gulf Views! Two Pools! Gym! Tennis Courts! Amalfi Coast 412A - Gulf Views! Community Pool! Fitness Facility! Tennis Courts! Property 24: Amalfi Coast 412A - Gulf Views! Community Pool! Fitness Facility! Tennis Courts! Amalfi Coast 124D - Gulf Views! Miramar Beach! 2 Pools! Tennis! Fitness Center! Property 25: Amalfi Coast 124D - Gulf Views! Miramar Beach! 2 Pools! Tennis! Fitness Center! Updated 2BR/2BA Amalfi Condo ~ Netflix & WiFi Included! Property 26: Updated 2BR/2BA Amalfi Condo ~ Netflix & WiFi Included! April 21-27 & May 4-May 8 open! Time for a beach getaway! Book now. Property 31: April 21-27 & May 4-May 8 open! Time for a beach getaway! Book now. Amalfi Coast 213B - Community Pool, Fitness Facility, Gulf Views, Miramar Beach! Property 33: Amalfi Coast 213B - Community Pool, Fitness Facility, Gulf Views, Miramar Beach! Ocean View with Free Beach Service! Only one week left in June! Don’t miss out! Property 34: Ocean View with Free Beach Service! Only one week left in June! Don’t miss out! Amalfi A411 - Booking spring vacays, now! Property 35: Amalfi A411 - Booking spring vacays, now! Amalfi Coast 418B...Top floor, GREAT amendies, GRAND view. Property 36: Amalfi Coast 418B...Top floor, GREAT amendies, GRAND view. Amalfi Coast 117B - Gulf View, 2 Pools, Free Beach Service, Tennis & Fitness! Property 37: Amalfi Coast 117B - Gulf View, 2 Pools, Free Beach Service, Tennis & Fitness! Amalfi Coast 307A - Gulf View, Heated Community Pool, Exercise Room, Tennis! Property 38: Amalfi Coast 307A - Gulf View, Heated Community Pool, Exercise Room, Tennis! Amalfi Coast 311A - Gulf View, Heated Community Pool, Exercise Room, Tennis! Property 43: Amalfi Coast 311A - Gulf View, Heated Community Pool, Exercise Room, Tennis! Property 44: 15% OFF Now - 5/25/19! 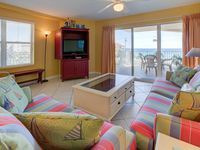 GULF VIEW Beach Condo @ Resort! Pool + FREE VIP Perks! Amalfi Coast 215B - Community Pool! Fitness Facility! Gulf Views! Miramar Beach! Property 46: Amalfi Coast 215B - Community Pool! Fitness Facility! Gulf Views! Miramar Beach! Beautiful, Gulf front view, top floor, newly decorated condo! 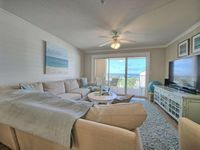 Property 48: Beautiful, Gulf front view, top floor, newly decorated condo! Seas the Day! - Ariel Dunes II - Breathtaking views! Sleeps 8! We really enjoyed our stay @ Amalfi coast 413B It was decorated very beautifully. The porch and view of ocean was amazing. It was very clean also. We loved being able to walk to the Surf Hut for dinner.